Urban safety risks are mainly spawned by natural disasters such as floods and earthquakes, as well as fire, traffic accidents, major epidemics, and mass disturbances caused by violent crimes and terrorist attacks. Urban safety risks are not isolated but interrelated. An incidental external factor will trigger a series of incidents, threatening the order of city production and living environment, people’s life and property and even the urban safety. With regard to the building of Xiong’an New Area, which is a national project of vital and lasting importance, it is especially important to explore the development path of urban safety. 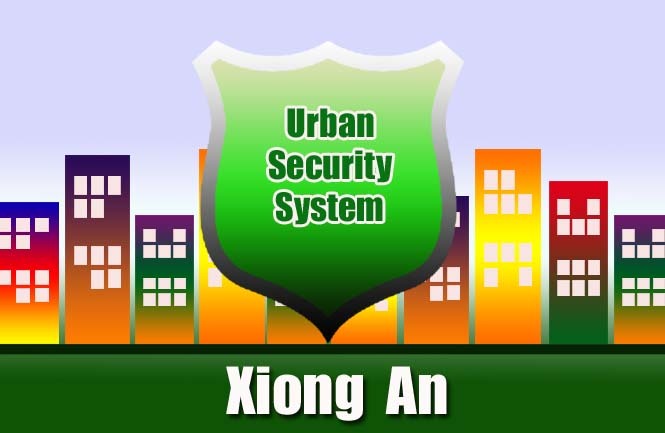 This paper gives a brief illustration on how to set up an urban safety system and build a resilient environment for Xiong’an New Area. We need to fully understand the importance of developing urban safety. Firstly, the development of urban safety is the premise of urban prosperity and sustainable development. No city in history can ignore its safety and no city can develop stably in turbulent times. Thus, the development of urban safety should be viewed as an important development idea and development way, which could shore up the sustainable development of urban economy and society. Secondly, the development of urban safety concerns the safety of people’s lives and property, and is a guarantee to meet the people’s needs for a better life. Attaching great importance to the development of urban safety requires us to adhere to the people-oriented development concept, ensure the safety of people’s lives and property and guarantee that people can live and work in peace and contentment. Lastly, the development of urban safety imbues one of the connotations of modern urban civilization. We need to put the safety factor and response plan as part of modern urban civilization, attaching high importance in line with appropriate concept, mindset and measures, and constantly improve the urban safety governance system and the modernization of governance ability so as to build Xiong’an New Area into a modern city with reliable safety and high civilization. We need to draw on domestic and foreign experience relating to dangers for urban safety and resilient city construction. Urban safety dangers mainly come from natural disasters and man-made calamities. Natural disasters often happen suddenly and are uncontrollable, while man-made calamities are mainly due to improper response and asymmetric information. In recent years, the concept of “resilient city” is put forward as a new thinking and new way to respond to urban safety risks and realize cities’ sustainable development. It is of great theoretical and practical significance to address a series of disturbances and pressures in the sustainable and healthy development of China’s economy and society. Some approaches and suggestions to construct a resilient Xiong’an New Area are made as follows. Firstly, we need to formulate a safe and resilient comprehensive disaster prevention and emergency system, including the following aspects: to improve the disaster prevention system, to establish the urban public safety system, to enhance the comprehensive emergency system, to raise the level of disaster prevention and mitigation and to set up an urban safety performance system. Secondly, work needs to be done relating to the prevention and protection of water resources, energy and other lifeline projects including the building of a water security system, the construction of flood-control and waterlogging-prevention system, and the construction of infrastructure with energy safety at its core. We should give priority to energy conservation, enhance the level of intelligence, and coordinate various sources for a sound and safe environment. Thirdly, efforts need to be made to strengthen the response to and management of social emergencies. Safety is to be responsible for one’s own life, whereas prevention is to be responsible for everyone’s life. The government should stick to the principles of taking targeted measures, deal with emergent cases in a professional and classified manner, and take pertinent measures for different social emergent incidents. Constructing a resilient environment for Xiong’an New Area and building an ecological safety system have borne out the effects through the implementation of the five development concepts, fully displayed Chinese characteristics and system advantages and contributed to global urban safety development with Chinese wisdom and Chinese experience.